You made us a 2016 Top-Rated Charity! Last month, we were proud to receive top honors from GreatNonprofits – thanks to people like you! 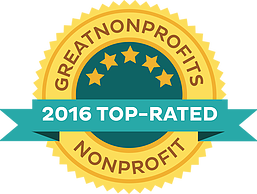 GreatNonprofits is a charity ratings site fueled by reviews from donors, partners and volunteers. This is often one of the first places people turn who are thinking about interacting with Fistula Foundation, so we are honored to have the support of so many of you who help us deliver life-changing treatment to women who are suffering. Check out some of our reviews below, then click here to add your own five star review!